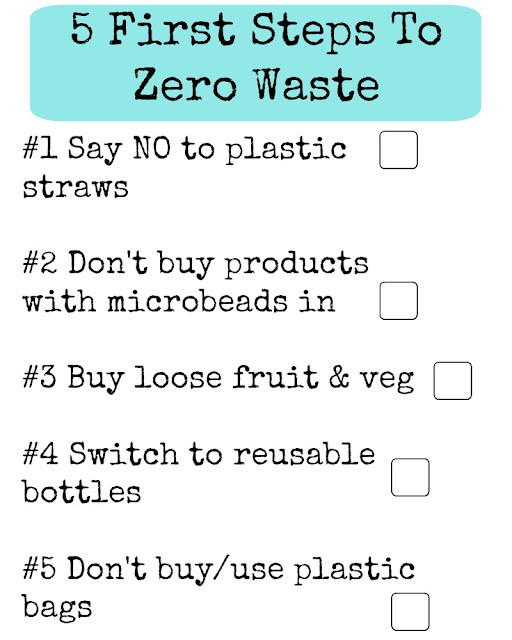 Step One - NO STRAWS Please, please for goodness sake - say no to plastic straws. If you are out and about, just ask politely not to have one. Pubs, Bars, Cafes, Restaurant and Take Away places often automatically give straws (although they are gradually getting better) so be sure to say "no thanks!". You can either drink without a straw or if you like or need to use straws, why not switch to *bamboo or *stainless steel instead! You can carry a couple around in your bag for emergencies! Why are plastic straws so bad? Plastic straws are used for minutes, seconds even - then they remain here for centuries. They are one of the worst plastic items for the environment, I'm going to share this upsetting turtle video again. Straws are piling up everywhere, especially in the ocean and they harm our marine life, as well as potentially exposing us to harmful toxins too. So please, just say no. Step Two - Refuse Microbeads Microbeads are everywhere, or at least they were until not that long ago. Used an exfoliating body scrub or face wash recently? That exfoliating element may well have been microbeads. Microbeads can even be found in toothpaste. Before you buy any new products, if they claim to be exfoliating or anything similar - check the ingredients for Polyethylene (PE), Polypropylene (PP), Polyethylene terephthalate(PET), Polymethyl methacrylate (PMMA) and Nylon. These are all microbeads. Switch to non-exfoliating products, use an *exfoliating brush instead, or try making your own products! Why are microbeads so bad? Microbeads are teeny tiny bits of plastic. As they are generally used in bathroom products, this means that after being scrubbed with, they are washed down the drain into the ocean. Not only do fish and other animals mistake them for food, but if they aren't eaten they will just be floating around - forever. " 100,000 microbeads are washed down the sink with a single application of some products." That's a horrifying amount. This is a fantastic little video which can tell you a bit more about Microbeads. When you visit a supermarket, plastic packaging is very hard to avoid, but it is avoidable. We all grab fruit or vegetables on our way around the supermarket, and having them in a prepared package with a certain amount of items in (say a bag of 5 apples) makes it so quick to just grab them and pop them in our trolleys. It may be easier to grab a plastic packet, but it's most certainly not better. Fruit and vegetables are washable, and they come in their own natural packaging - so why do they still need to be smothered in plastic too?! Take your own reusable *fruit & veg bags when you go shopping, and just buy the amount you need - saves on food waste too! Why is plastic packaged fruit & veg so bad? Just take a look at the fruit and veg in your local supermarket, see how many items are completely covered in plastic?? It's such a huge amount of plastic that will be immediately thrown into the bin when unpacking your shopping or a week later when you finish the product. The damage of this packaging to the environment is the same as carrier bags, but there really isn't any valid need for all this wrapping! Step Four - Switch To Reusable Bottles I know, it's so easy when you are out and about to just grab a plastic bottled drink when you are thirsty. That's why it's so fantastic that the UK is introducing free water refill points! Yes, it might take a while for the scheme to reach your area, but it'll be worth the wait. So why not make the switch to a *reusable, environmentally friendly bottle that you can carry around with you - meaning you'll always have a drink when you need one (and you can later take advantage of the free refills!) Not to mention, you'll save a lot of money too! Why are plastic bottles so bad? The bottles are not biodegradable in any way. End of. They will be here, forever. Although plastic drink bottle manufacturers are increasingly using BPA Free plastic, the majority of plastic bottles supposedly leak harmful chemicals if reused or left in the heat. Whether or not that is 100% true I don't know, but I'm not testing that theory with my body thank you. Step Five - Don't Use Plastic Carrier Bags Oh no, you are out shopping and you seemed to have bought more than you bargained for, and you need a bag. Don't worry, there are loads of bags available right next to you at the till. NO. STOP. It may be convenient for you to just pay a couple of pence for a little bag so you don't have to carry all your shopping yourself, but that little convenience is a big issue. These 5p bags are single-use plastic, and single use plastic is the worse of them all. Instead, next time remember to bring your own bag (don't buy any more 'bags for life' though!). If you don't have any bags at home, I recommend picking up a few *canvas shopping bags or perhaps even bring a *basket. Shopping is so much lovelier when you have your own basket! Why are carrier bags so bad? The impact of plastic bags on the environment is huge. Before the plastic bag charge, 500 billion to 1 trillion plastic bags were used each year across the globe. Now the charge has made a difference, but what's 5p hey? People are still going through absolutely horrendous amounts of plastic bags on a yearly basis and where do those bags end up? Some end up in landfill, permanently. But a ridiculous amount ends up in our oceans, which if they are not eaten by or end up strangling to death turtles or other marine life, it just turns into plastic soup. Plastic, permanently floating around in the ocean. When I wrote this post, there were approximately 22640016.20 square metres of plastic in the ocean. Click here to find out what it's gone up to now. (Let me know in the comments, I'm curious to know). 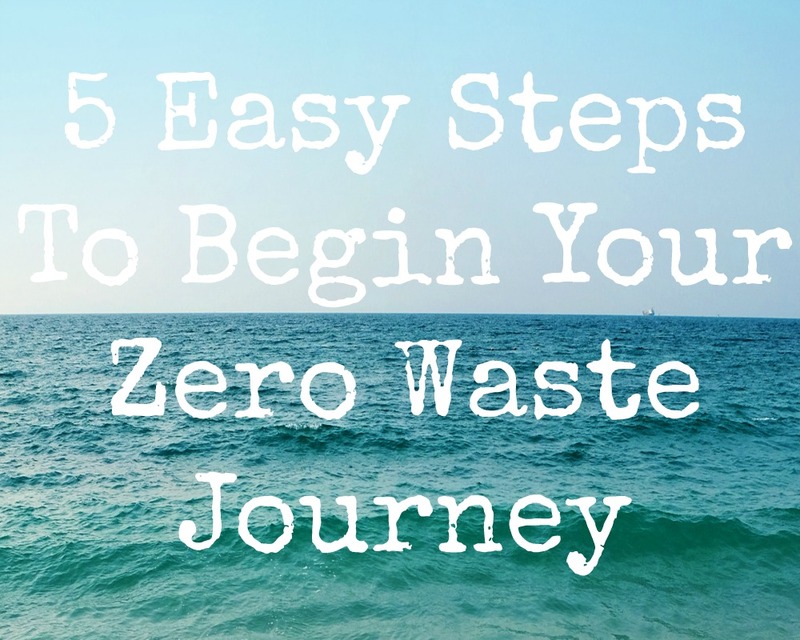 So why not begin your journey to zero waste and help save the world, right now. We can and will make a difference. So here's a little checklist to help you on your way! If you still fancy learning more about Zero Waste visit Less Plastic or join the Journey To Zero Waste Facebook Group!